Our Philosophy: Quality is the Main Thing. 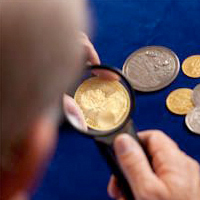 Coins, medals and gold are very special types of merchandise which require outstanding expertise and extensive experience from the merchant and numismatician – from the consignment, through the identification and assessment, all the way to the execution of an auction. To every customer, his or her own coin collection is unique. It has not only financial, but also historical and intangible value, and is furthermore intimately bound up with one’s own life story. That is why, in our business, impeccably fair and correct behavior is particularly important – even long after the purchase of the coin. Our philosophy is thus very simple and we implement it consistently: quality is the main thing. Only when you, the customer, are satisfied with our auctions, are we satisfied as well. 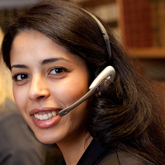 Our service involves the personal commitment of every employee to meet all of our self-imposed standards regarding quality, transparency and integrity. We believe that only a long-lasting business relationship, which both sides find satisfactory, ensures lasting success. For that reason you can depend upon this: the name Künker stands for dependability and reliability in every contact and at every auction. We vouch for that with our good name – today and in the future. Your trust represents for us both an obligation and a commission.